Any two race tires purchased now until the end of April come with a free Pirelli T-shirt. 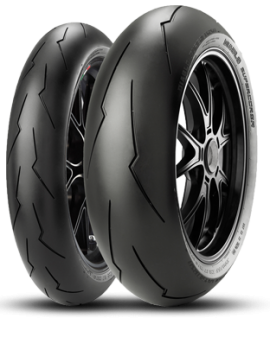 Pirelli Supercorsa SC V2’s, developed for the World Championships for Supersport and Superstock categories, offer excellent performance on any track. 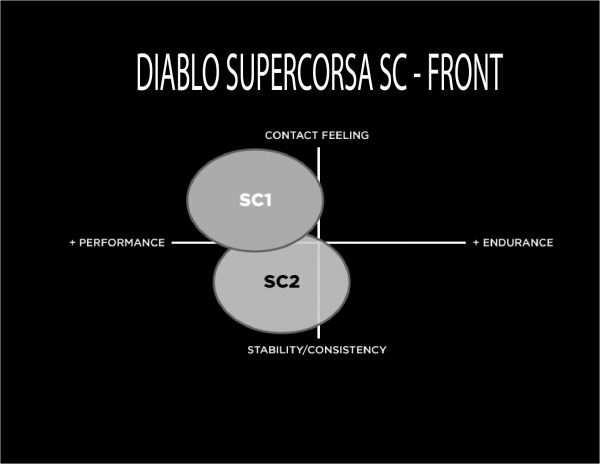 The Diablo Supercorsa SC, first made in 2007, has evolved to become Pirelli’s most victorious racing supersport product. In just four years, the Supercorsa SC has won 65 victories in 18 countries, and has raced in more than 60 national and international open tire championships. 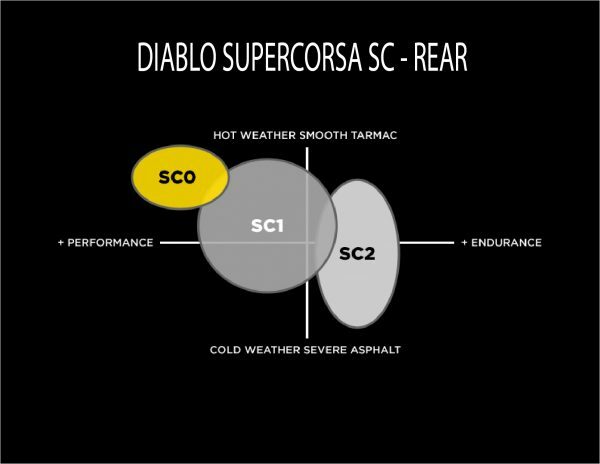 The new Diablo Supercorsa SC, the highest performance street legal racing tire ever made by Pirelli, is designed to hold precise racing lines on straight stretches and curves. This performance profile also favors handling and less wear during track use. 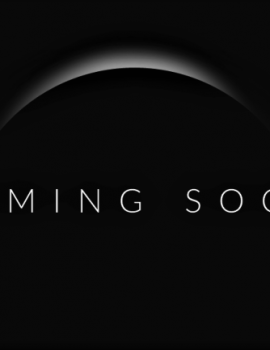 In addition, they boast unparalleled grip and unprecedented racing performance. These are the real deal, full race D.O.T. tires from Pirelli. They are the latest and greatest in race track traction technology. 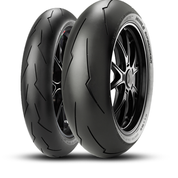 Pirelli Diablo Supercorsa SC tires are designed for race track use. Plus, these tires carry the D.O.T. label, so you could choose to run them on the street if you like. 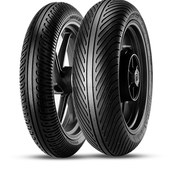 Pirellis highest performing street legal racing tire ever produced. The ultimate evolution of our most successful Racing Super sport tire. New generation profile designed to maximize the width and length of the contact area. Optimized carcass to improve stability on braking and increase precision and speed negotiating bends. Wider slick area on the shoulders to improve traction and stability. The new Diablo Supercorsa SC has an exclusive and aggressive single element tread design. This element tread occurs six times on each tire surface, resulting in a 24% greater width of the shoulders compared to the previous Supercorsa SC. The greater exposure increases contact area and grip. 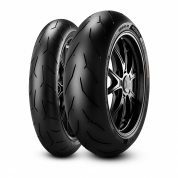 The long longitudinal grooves, which reach the tire shoulder from the central area of the profile, ensure even wear in the most severe use.